Four OU copies of Galileo first editions contain his own handwriting. They include Galileo’s Starry Messenger, the first publication of observations with a telescope and the book that made him a worldwide celebrity almost overnight. The four “golden era” star atlases, by Bayer, Hevelius, Flamsteed and Bode. Seeing these beautiful star atlases on display together in the same place is perhaps a once-in-a-lifetime opportunity. Leonardo da Vinci’s first and only drawings published in print during his lifetime, along with related treatises on perspective drawing that formed a connection between art and astronomy. Because very few people were able to see all of the exhibits of the original Galileo's World exhibition, and no single location could display all of the rare books and artifacts at the same time, after the original exhibit concluded, the 5th floor Exhibit Hall in Bizzell Memorial Library has since featured a rotating selection of items. 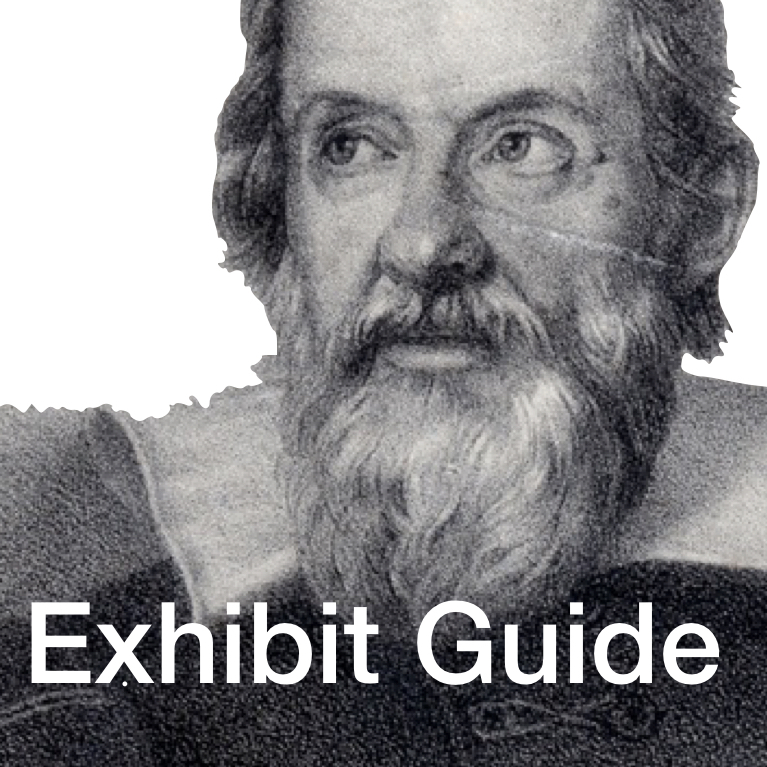 The current rotating exhibit is Art and Astronomy in Galileo’s World. Items in this rotation were originally on display at the Fred Jones Jr. Museum of Art, National Weather Center, and OU-Tulsa. The next rotating exhibit focuses instead on Life Sciences. Items to be displayed are coming from the exhibits originally held at the Sam Noble, the OU Health Sciences, and Headington Hall. It will open March 11. Almost every book currently on display will return to the vaults, so the Life Sciences exhibit will represent a nearly 100% rotation. The 5th floor Exhibit Hall will be closed Feb 15 through March 10 to change out the exhibit.